In addition to Google webmaster tools, another important google propety that you will need for your blog is the google's Analytic for tracking your website traffic and audience . This data is very helpful when it comes to improving your website to make it user friendly.There are many properties you can exploit to get a clear view of your website visitors . In addition a google analytic code on your blogger blog will help you when registering on websites that measure your influenece score using your website traffic data. Getting a Google analytic account simply require a gmail account. This is why Google rocks!! You can upto 50 websites in the free analytics account. i. Go to https://analytics.google.com or google.com/analytics and sign in with your gmail login details. That is it. we have successfully added the site into our Analytic account. Login to blogger,Click on Settings and Then on Other. 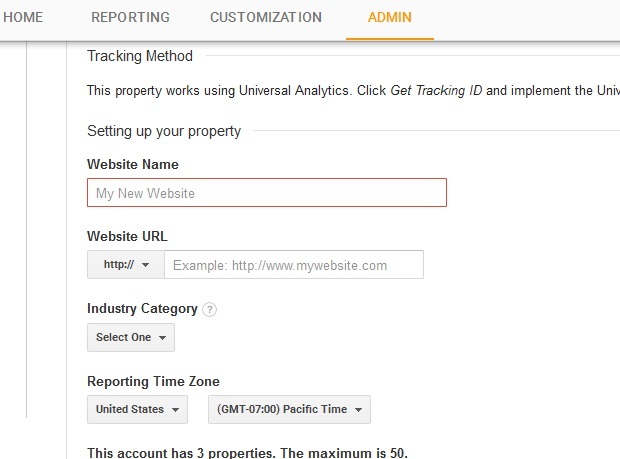 You should see ''Analytics Web Property ID'' Paste the code in the space and save changes. On the blog you were working on click on ''temaplate'' and then Edit HTML. in the HTML editor and past the code just above it. You are now ready to enjoy google analytics. Any other method to do so? Great tips here i found thanks for this valuable tips. Read Here How to earn money with Instagramm?